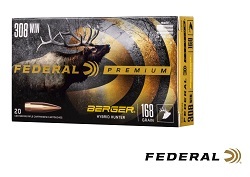 ANOKA, Minnesota - March 15, 2019 - Federal unveils Federal Premium Berger Hybrid Hunter, loads that combine the profile of a low-drag match bullet and the terminal performance of a traditional hunting projectile for lethal accuracy at any range. Shipments have been delivered to dealers. 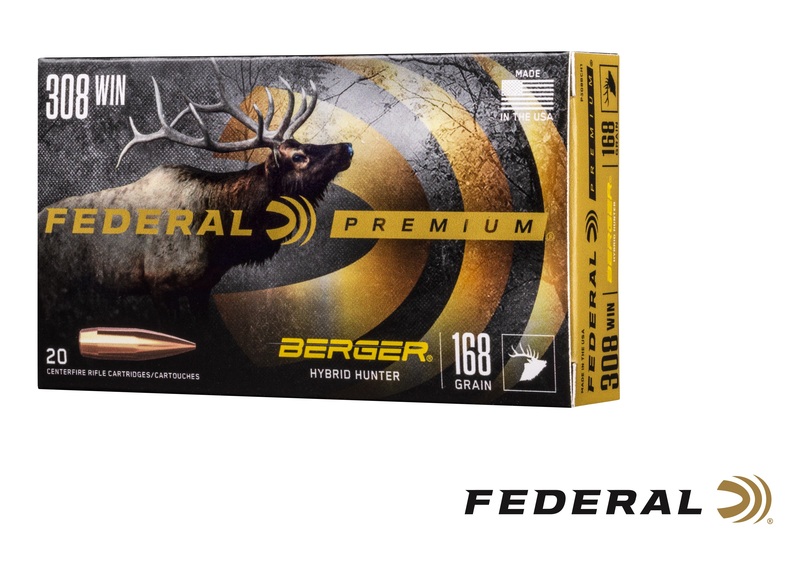 Berger Hybrid Hunter bullet weights have been fine-tuned to provide exceptional accuracy through any rifle. Ballistic coefficients exceed those of comparable designs thanks to a hybrid nose design that combines tangent and secant ogive features. The bullets are loaded with our finest nickel-plated brass, Gold Medal primers and specially formulated propellant for the best consistency and reliability.